Craig joined the JSA Group in June 2002 and is senior member of the Strategy Team with over 15 years’ experience in the Financial Services industry. 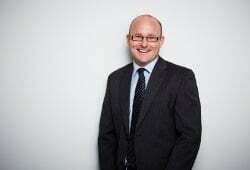 Craig commenced his career as a junior paraplanner in the Financial Services Industry with a small Newcastle firm back in 1998 while studying a Bachelor of Commerce Degree at the University Newcastle. Four years later he joined the JSA group where he continued further studies completing his Advanced Diploma of Financial Services (Financial Planning) and is now a senior member of the Strategy Team. As a strategy team member Craig is focused on providing strategic support for advisers, including assistance with client strategies, technical support and compliance with legislative requirements in providing advice which is in the best interest of clients.